Everything you have always wanted to know about Occitan is explained in this short synthetic document for all ages, presented by the national I.E.O..
Occitan is the historic language of southern France, plus twelve alpine valleys in Italy and the Val d’Aran in Spanish Catalonia. Whether you call it « patois », « langue d’oc », « limousin », or « langue régionale », the historic language of Limousin and France’s southern regions is Occitan. A lot of people have been calling and still call Occitan « patois », first among them, those who speak it : it’s a derogatory word, the result of a gradual cultural alienation. The authorities have done their best to persuade users of other languages than French that their language wasn’t truly one but only a local distortion of French. « A rustic way of talking to be found among peasants or the lower classes ». Nowadays this word is rejected by almost all linguists who had rather speak of « languages », « dialects » (local variations), « sub-dialects » and, on a very small scale, « parlers ». Just like French, and Italian, Catalan, Castilian, Portuguese, etc., Occitan derives from Latin : it’s a Romance language. North of the Loire river, where the influence of Germanic languages was strong, « yes » was said « oïl ». It’s the oïl area. Present French comes from the Ile de France oïl dialect called «Francien». South of the Loire river, where Germanic influence remained low, « yes » was said « oc », it’s the oc area. Occitan is the oc language. There’s no true Occitan. As befalls any language, Occitan isn’t exactly the same from one end of the territory to the other. There are different ways of speaking, variations or « dialects » of equal worth: « auvergnat », « vivaro-alpin », « provençal », « languedocien », « gascon » and… « limousin ». 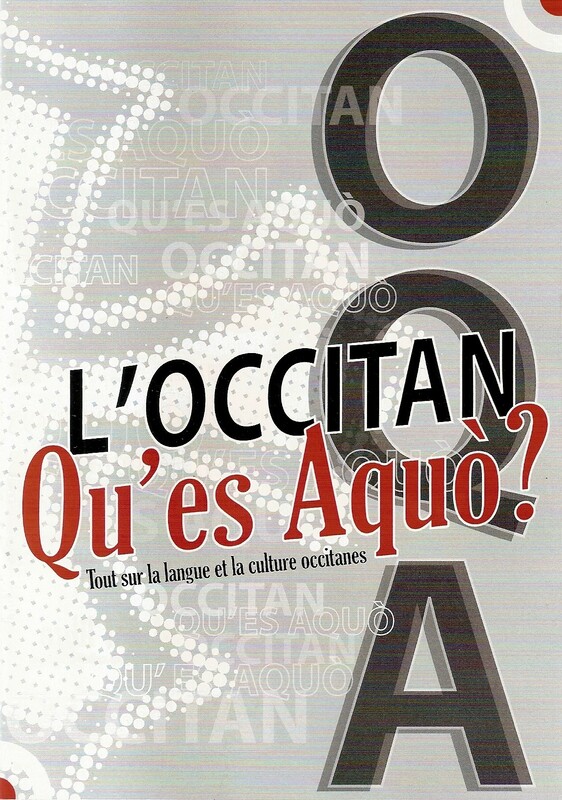 Occitan has a great wealth (of vocabulary, expressiveness, developing capacity), a great variability (dialectal diversity and stresses) but cross-comprehension between speakers from different regions is usually possible with careful listening and practice. in Latin America, they’re pronounced « s » as in « snake » : « centro » is pronounced « sentro ». There are variations indeed, even inside the same dialect. Yet differences aren’t all that important and are mainly due to vocabulary and/or pronunciation. Occitan can boast a prestigious tradition of written literature. The first literary texts appear around the year 1000 : the Clermont Passion (around 950), the Poem about Boèce (around 1000), the religious poems from Saint-Martial in Limoges (beginning of the 11th century), the Sainte Foi song (around 1040). From the 12th century onwards, the poetry of the Troubadours spread across Europe and inspired the European lyric poetry : more than 2500 poems have been preserved (and a few 250 melodies). Later on, Occitan literature witnessed several stages of decadence and revival, but it survived the decline of the language and is still flourishing today. Nowadays, even if Occitan is a written language indeed, the major part of its speakers are illiterate in their language since they haven’t had the right to an Occitan-medium school. To read Occitan, you must forget the rules of French reading. Like any other language, Occitan has its own rules. It certainly is ! Our local language can play an important part in the making of tomorrow’s society ! Each language is a precious portion of Human Culture. In the place where they were born or arrived in their early years, children need roots and landmarks. If they’re proud of their roots, they’ll turn to others easily and try to know different cultures. All the more so as Occitan is an open door to other romance languages. Linguists have always known the beneficial effects of early bilingualism. From birth to 7 years of age, the human mind can assimilate two, even three languages, but this capacity decreases until it gets very low around the age of 10. This is why it is so important to learn two languages from nursery school. Bilingualism develops Broca’s area, a region of the brain that will be thus better equipped for the acquisition of other languages later on. Because it is the language spoken here, present in the environment (place/family/plant names, colloquialisms) and used in many homes, conveying emotional ties between generations. If you don’t know Occitan, your child will help you learn it quickly. If you come from other places, he will let you share in the Occitan heritage. The Basque country and Brittany use their cultural identity as an asset for their touristic and economic development : it does work. Why don’t we do the same? « Occitanie » is an old word. It was already used at the end of the 13th century (1290) to name the « langue d’oc » regions. At the Poitiers consistory of May 29th 1308, the French king was declared to reign over two nations : the « lingua gallica » and the « lingua occitana » ones. « Occitanie » stayed in force in the administration until the 1789 French Revolution. It was picked up again from the 19th century onwards by those who wanted to promote the Occitan language. 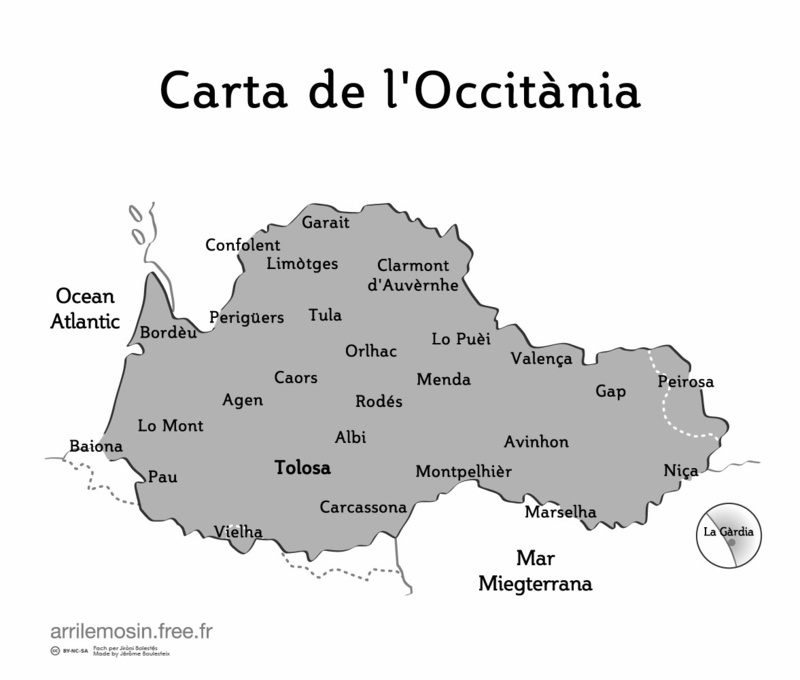 About two million people speak Occitan every day, six million understand it. However the language suffers from a lack of family language transmission. So that Occitan speakers tend to be ageing. who received some Occitan-medium education (in «Calandretas» or bilingual classes). Nowadays in Occitania, Occitan speakers are indeed a minority compared to French speakers. Numerous examples show that Occitan is part of your every day life, of the identity of the region you live in. This cultural heritage belongs to all of us, you just have to get involved. The « Librariá occitana » will help you through. The future of Occitan greatly depends on us, on you. get involved into an association for the promotion of Occitan, such as the I.E.O. Languages are like plants : unique and irreplaceable. The ball is in your court ! Make haste, things are hotting up !